Legends aren’t always born from cosmic-level events that disrupt the balance of an entire planet. Sometimes a hero’s great deeds start small. Very small. Aikio was only three or four years old, living in a village so obscure that even the most detailed maps of Japan failed to name it. Most of the original material of his oversized shirt had rotted away, forcing his weary mother to patch and mend it nightly. The only toys he’d ever owned were those he’d stumbled on in his daily trips to the village dump to look for scraps and he couldn’t read the simplest wooden signs hung in the marketplace.His only reliable companion was the hunger that plagued him. His mother’s status as a single, unwed woman had been a strike against him before he’d even entered the world. A kindly widow might share her rice cakes or pork buns with a child made orphan by the war. That same widow would turn up her nose at the product of immoral frivolity that was Aikio. He was unnatural. He didn’t belong. He was too small and weak to fight the bigger boys that staked their claims outside the village restaurant; too dull-witted to sweet-talk some passing merchant into taking pity and sharing a few of their wares. All he had was his little woven basket for collecting morsels from the garbage heaps at the western edge of the village. He picked his way carefully between the mounds of sludge made slippery by a recent rain. He could hear the tapping of other poles, older pickers that would offer muttered prayers for a half-rotted cabbage or the bones of a chicken not entirely picked clean. His own pole was half-sized but no less effective. He’d once stumbled on a bag of seven whole fish heads and a chunk of bread only half covered in mold. He flung the lid back, discovering a treasure far greater in his eyes that gold or silver. Nestled in crushed red velvet were six perfect tangerines and a beautiful engraving of a dragon with the torso of a temple dog. Aikio worked carefully until he’d excavated the entire box. He clung to it with both hands, narrowly avoiding a flying lesson offered by a maggot-riddled stalk of bok choy. His arms and legs were burning before he’d even reached the edge of the junkyard. He darted nervous glances at the other pickers, relieved to see them clustered around a bag of apples some traveler had carelessly discarded. Feeling triumphant, he peeked once more beneath the lid, running a fingertip over the engraving. He’d never seen anything so beautiful. Meaty hands clamped down on his shoulders. He screamed as he was lifted high into the air. Moziku snatched the box from the ground, sneering at its contents. He took a bite from one of the fruits inside without bothering to peel it. The bitter skin brought water to his eyes, masking the sweetness within. He spat and tossed the fruits aside one by one. Moziku bloodied the boy’s nose and tossed him aside as one might fling a crumpled ball of paper. Aikio crawled through the dirt, oblivious to the heavy new layer of mud coating his skin. Through his tears, he gathered the five fruits not tainted by Moziku’s foul mouth. He gathered four, stuffing them down his shirt. Somehow, they were warm, four suns against his skin. Search where he might, he could not find the fifth. He did find his little basket, smashed beyond repair by the departing Moziku. He began to cry in earnest then. He closed his eyes for a moment, completely giving in to misery. …snatching it back when two massive black lids clicked down and sideways over an eyeball the size of a tangerine. The dragon was extraordinarily clever. He’d masked his massive body in a thin layer of dust that blended perfectly with the dull gray hills. With an inquisitive rumble, he shed his cloaking spell and cast another, one that would allow only Aikio to see him. His horns were the vibrant orange of his eyes. The malachite beads braided into his mane clicked together with the sound of gentle rainfall as he raised his neck to its full height. Aikio could not express the profound joy in his heart at being blessed with such a divine sight. Famine and awe had won him over, causing him to faint. When he woke, he was in a cave filled with light and the most delicious aroma he had ever encountered. Okura watched curiously as the child took a seat at a stone table laden with good things to eat. Sensing an undercurrent of fear at their first encounter, Okura had used his powers to shrink his body down to the size of a large dog. He’d even altered his appearance to be slightly more dog-like, taking inspiration from the boy’s memories. Okura could not precisely understand the words but he got the general context from the boy’s thoughts. His amusement shone in his eyes. He swept his tail in a graceful pattern, speaking through the sweet notes of the chime hung along its length that was as much a part of his anatomy as his beating heart. A new dish appeared on the table. It was a bowl of sake oyakodon with tender filets of salmon, their flavor offset by the salty tang of the salmon roe laid out in a neat crescent to the side. The boy had thought himself full but the rich smell coming from that bowl convinced him he had room for just a few more bites. He lost all track of time in that cave of dreams. He discovered that the sounds rising from Okura’s chimes affected not only what dish was produced but whether that dish would be sweet or savory or spice. Seven days passed but for the boy that time seemed hardly an hour. He found his baggy clothes now fit him well and he had a newfound energy that made him want to run and play – not merely shuffle along – beneath the light of the sun. His mother had worried herself sick trying to find him. It was forbidden for any woman – particularly a disgraced one – to come within fifty feet of the sacred mountain. When she heard the laughter of her boy on the wind, coming from that direction, she ceased to care about the potential consequences. She was dying anyways. She would kiss the child once more before she went. Okura watched the reunion with interest. He was very young for a creature of the spirit world, still trying to find his place on the mortal plane. He liked the boy but it wasn’t until that moment he realized he needed the boy. He could not resent the strong love-bond between the boy and his mother, though. He broadened his vision spell, allowing the woman to look on him. Aikio caught his mother when she fell. He never left her side in the many days it took to spoon-feed her nutritious dishes that would restore the strength she’d lacked since the birth of her child. As he cared for her, Aikio told his mother all about the kindness shown to him by the dragon. The poor woman couldn’t decide whether to laugh or weep. Aikio wept on the day he departed with his mother but he was a good and obedient child. He trusted his mother in all things, yet in the deepest corner of his heart, he made himself a promise that he would someday do something so great that heaven would bless him by letting him see his friend once again. Okura followed the pair at a distance. The woman’s words had struck a chord in his heart but he had not quite worked up the courage to abandon the village of his birth. He watched the villagers surround the pair and pull the boy away. He watched as the woman was dragged to the gravel pit to be stoned. As much as these sights pained his heart, he could not interfere. His was the gift of food, not life. The paladin of Lord Ha’Chi paused behind the angry crowd. He called for his servants to clear him a path. The woman in the pit wore tattered clothes, her hair was in tangles and she wore none of the paints he was used to seeing on the faces of noble ladies. Bruises and small cuts shone on her too-pale skin. Despite all that, she was the most beautiful woman he had ever seen. Aikio bowed respectfully when he was brought before the great Lord of the East yet he did not flinch when he was addressed. Lord Ha’chi had heard many amazing tales in his life but when he heard the tale of the magic cave in the mountain, it touched his heart. He went there with his new wife and the boy that would grow to be like a son. They found the cave deserted, a single tangerine sitting at the center of the stone table. The boy took this parting gift and planted its seeds in his step-father’s yard. In years to come, it would come to be known as the Miracle Tree and any person that ate the fruits grown there could be cured of the vilest diseases. As for Aikio, he threw himself into a sculptor’s studies, determined to re-create a replica statue of Okura to show his miracle dragon to the world. His many attempts went to decorate the most famous temples in Japan but he could never quite get every detail right for the one he wished to place at the heart of his home village. Okura watched with diminishing interest as the boy was carried out of sight. The needs of one could no longer hold his attention when the needs of the many were a noisy din in his ears. Two men in particular had captured his interest. They were talking about a neighboring village that had flooded. The crops were ruined and the overseer of the area’s largest farm was a cruel man. Okura found the struggling village readily enough. The people worked frantically to bail water out of the fields though they knew in their hearts their efforts were in vain. Many fell to their knees and praised heaven when they found steaming dishes and bowls weighing down the community table. They brought their families and distant relations to relieve the weight before the thick wooden support beams could break. They ate their fill and still there was plenty left over to last them all another week. One young girl named Ashimi spotted the dragon sneaking out of the kitchen. The adults were all too bust admiring (and devouring) the food to concern themselves much with where it had come from. The child ran up to the dragon without fear, throwing her skinny arms around the tip of his tail. Okura could barely contain his delighted amusement. His jaws parted in a dragon’s smile when she placed an offering on his claws – a small bronze coin that had been a birthday gift from her grandmother. She took the ribbon from her hair and threaded it through the tiny hole at the top, biting her lip when she realized it was too small to fit even his pinky claw. A bit of luck magic solved that dilemma. The ribbon grew and linked its ends together, giving Okura a new necklace that would sing in time with the harmonic click of his neck beads. Little did Ashimi know that she would someday become the wife of the first man blessed by the generosity of this dragon. Okura was stunned the first time he saw a likeness created by Aikio. The creature’s wings were too long and his horns were bent at odd angles but the resemblance was not lost on the lonely spirit. He’d visited a dozen villages, showering blessings on those in need and leaving spurts of good luck in his wage. Though none yet knew his name, the storytelling skills of one particular girl were becoming well known. She insisted that the offering of a single bronze coin had saved her family and could bring fortune to those still willing to believe in magic. Aikio heard this growing legend on the day he finally tracked down the box Moziku had stolen from him twenty years ago. He went to the village to hear the Tale of the Generous Dragon for himself directly from its source. He immediately fell in love with the girl who wore a single unmarked malachite bead in her hair. All he had to offer was his empty box with the dragon carving on the inside…and a tale of his own about how this box had been the beginning of his own good fortune. Ashimi insisted that only an insane person would offer such poor collateral for a young bride that could take her pick of noble sons. She ignored practicality, for she recognized in Aikio a fellow heart touched by the kindness of Okura. She told stories of the dragon as Aikio worked tirelessly at his sculptures. She called the dragon Okura, not because she’d been told his name but because the name simply sounded right, like something told to her in a dream. Within a year, Aikio’s crowning achievement was finally finished just in time to overlook the cradle of his firstborn daughter. The sculpture was plain, unmarked wood. No glossy finish coated its surface. No precious metal gleamed at the joints. No gemstones served for eyes. Only Aishimi saw it as his crowning achievement. It was a perfect replica of Okura. The young couple stared in shock at the dragon that had suddenly appeared in their home. Okura admired the wooden sculpture with great interest. Here was a totem worthy of his notice, a true representation of the spirit that would touch the hearts of all that saw it. Aikio was shocked when Okura dismantled the battered box with a swipe of his claws. It had served its purpose as an incubator for a newborn spirit. With the utmost care, Okura sliced the ribbon from his neck, bowing his head to Aishimi. Wooden scraps and bits of copper cloth wove themselves together with that very first bronze coin at the heart of the medallion. Okura bent his huge neck, allowing Aikio to slide the new medallion into place. A pleasant rumble rose in his throat, the magnified purring of a cat with an undertone of chiming bells. He breathed over the surface of the statue, giving it vibrant color and the addition of a tiny wooden medallion identical to his own. The fortune-blessed couple had named their daughter Kura in his honor. She became one of the greatest cooks the world has ever seen, opening a full dozen charity kitchens that each contained a replica of the great Statue of Okura. The Statue of Okura still stands at the center of the tiny village that has grown in both size and status. The legend claims that those weary travelers in need of a good meal need only leave a bronze coin at the statue's feet and they will never again know hunger no matter how far they may wander. profile + coding by hiccup. overlay and profile art by Akita. 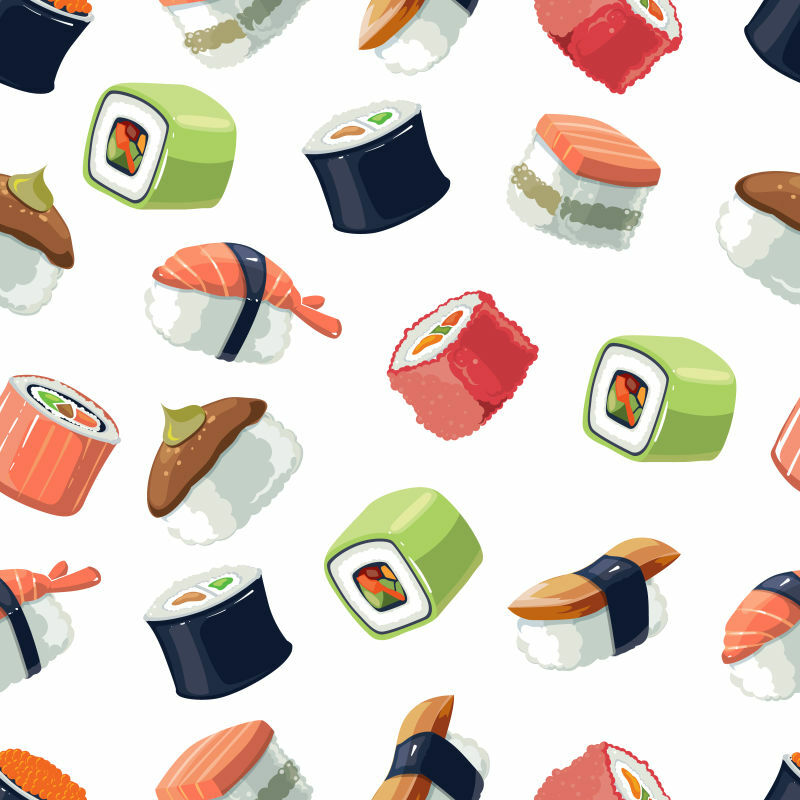 background patterns: oriental tea house and cloud searching from colourlovers and sushi from 52112.